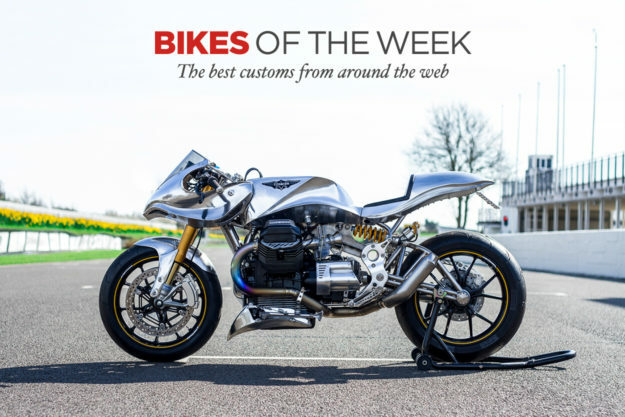 A Moto Guzzi with more titanium than a spaceship, a limited edition (and street legal) Ducati tracker, and a Cagiva Elefant 350 bored out to twice its capacity. It’s all about speed this week. 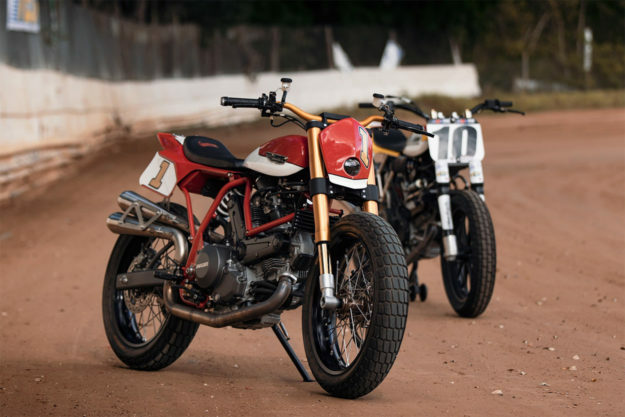 Ducati flat tracker by Fuller Moto The American Flat Track series has already reignited a century-old feud between Indian and Harley-Davidson. Now it seems the American stalwarts will have a couple of purpose-built Italians nipping at their swingarms too, courtesy of Bryan Fuller. Moto Guzzi by Paul Milbourn Have you ever seen a prettier, more focused Moto Guzzi in your life? In all my years reading, riding and writing about motorcycles, I dare say I haven’t. Paul Milbourn has officially raised the bar with this sculpted beauty. And the looks aren’t even the half of it. The engineering and craftsmanship here are otherworldly. Titanium—a notoriously tough material to work with and weld—is used everywhere. 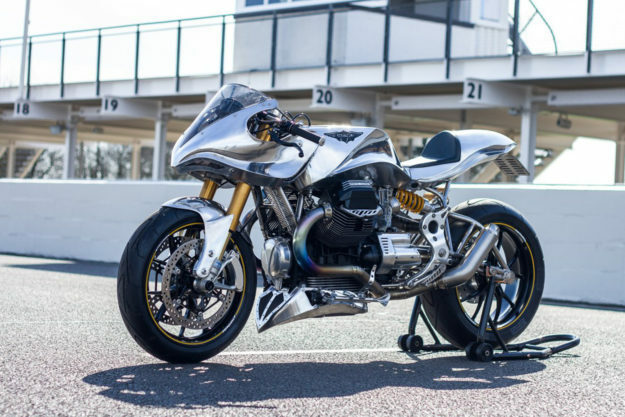 The backbone of this bike is comprised of an extremely rigid grade 5 length of the lightweight alloy, while the subframe, swingarm and engine hangers have been formed using a slightly more malleable grade 2 batch. Many of the other hard bits are also machined and shaped from titanium, including the rearsets, the engine intakes and the mesh bellmouths. Suzuki DR650 by Le French Atelier Pure and simple. It’s a design recipe that I’d wager all builders start with, but only the best can stick too. It’s just too easy to get sucked into the ‘more is more’ mentality with a bench full of bits at your disposal. But Vincent Amar and brothers Thomas and Anthony Letourneur, the trio behind Paris-based Le French Atelier, show us the way. Working with a 1992 Suzuki DR650, the aim with this renaissance was “Something pure, simple and radical”. That meant everything superfluous had to go, so the bike was completely stripped. 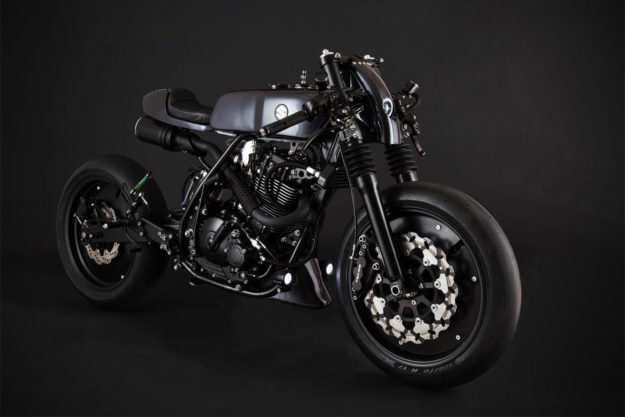 From there a new, hand-built subframe was designed and mounted up to sit imperceptibly beneath a tidy seat and tail combo that hovers above the thumper’s new ceramic coated exhaust. To maintain the cleanest lines possible, all of the wiring was re-worked and hidden with some help from Motogadget. But it’s the face of this cafe that really deserves most of the attention. Completely handmade, the futuristic headlight assembly had to be drafted and built three times before the team settled on a winner. The meticulous attention didn’t end there either. After its initial build, the team tore down the entire bike and reassembled things again for an exercise in QA/QC. We’d say the extra work was worth it. Cagiva Elefant by XTR Pepo Obviously the tracker movement is nothing new: We’ve long been drooling over some of the finest demons of dirt. But Pepo Rosell must have caught wind of what Bryan Fuller was up to long before the rest of us. 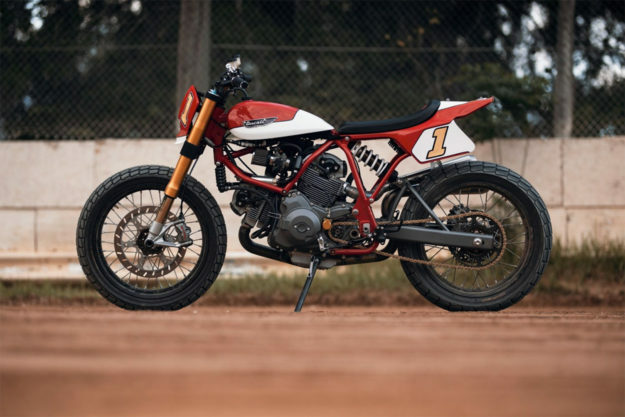 How else would you explain his latest creation, a dirt tracker based on a 1986 Cagiva Elefant 350 and named Chico Malo (Bad Boy)? Working with a bike found laid up in a barn, Rosell stripped everything down to bare metal before the build began. 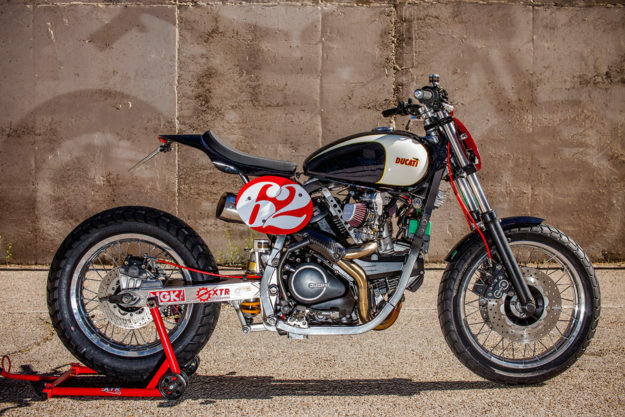 The frame itself needed some tweaking to work with the Mash 125 tank Pepo had in mind, and the fix also required it to mate up to the hand-rolled XTR subframe. It goes without saying the ADV-style plastics are long gone; Chico Malo’s new tracker tail looks sublime. BSA Rocket Gold Star Scrambler There’s no doubt that last week’s Egli Vincent was an absolute showstopper. But perusing RM Sotheby’s deeper pages for the May 27th auction has revealed yet another stunner. 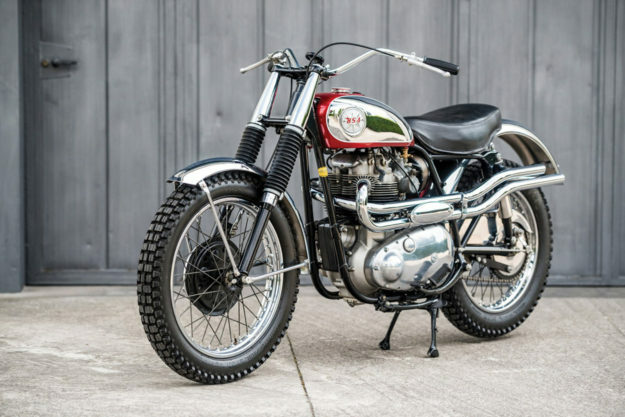 Expected to go under the hammer for a slightly less expensive €40,000 to €50,000 is this BSA Rocket Gold Star Scrambler. The story of Eddie Dow and the original Rocket Gold Star is one of legend. And I’m sure a few of us wish we could flex as much muscle as Eddie with today’s OEMs. Factory production of the hybrid Rocket Gold Star ran between 1962 and 1963 with a total of 1,584 machines being shipped with the lightweight chassis and a performance-focused motor. It was good for about 50 hp, and could easily top the ton.